Luckily, these units have benefitted from newer technologies and we are happy to discuss those changes here! Both systems have been changed to Stainless Steel or No Lead Bronze housings to comply with recent changes to the drinking water standards, which will prevent any bad materials from leaching into your water supply. The Laing has also received an ECM (electrically commuated) motor which allows for greater speed control as well as superior energy efficiency for low cost operation. Those that have Laing Pumps currently can retrofit to the new motor when it comes time for replacement as the castings have not physically changed. 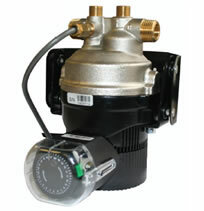 The Biggest news would be the introduction of the Laing E3 and E10 Series pumps! 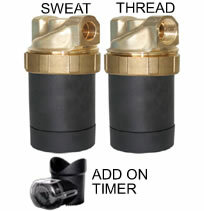 These new pumps are much more robust and give great performance for the larger home, or homes with sophisticated plumbing systems. We still have the same two configurations, the E3 for Dedicated Return Lines and the E10 Autocirc for Retrofits where the pump is located at the furthest plumbing fixture and uses the cold water as the return.